Fennel is one of those often overlooked, but fabulously delicious, vegetables that I think really ought to get more play — especially around the holidays. Its assertive anise flavor mellows when you cook it and becomes the perfect complement to poultry, so it’s a natural for the Thanksgiving table. It’s also especially fabulous paired with apples, a seasonal staple; dressed up with some herbs and a lush cream drizzle over the top, it’s worthy of even this most high of holidays. 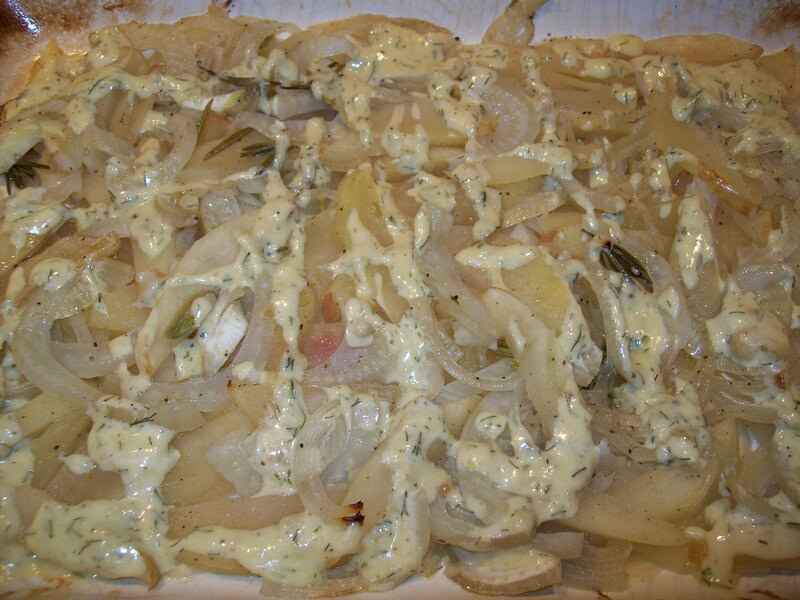 In a 9×13 roasting pan or casserole dish, toss the fennel and apples with olive oil, rosemary, salt, and pepper. Spread them out evenly, then pour the white wine over them. Cover with foil and bake at 400 degrees for 35-40 minutes. While the fennel and apples are cooking, pour the heavy cream into a small saucepan over low heat. Squeeze in the roasted garlic cloves and whisk until smooth. Let the cream and garlic heat gently on low for 15-20 minutes, until thickened and reduced by about 1/3. Add the salt, pepper, and fennel fronds and mix thoroughly. Before serving, drizzle the warm roasted garlic cream over the cooked fennel and apple mixture.